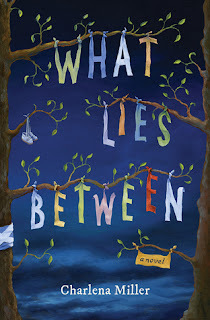 For today Ask the Author I'm bringing you the awesome Charlena Miller, author of What Lies Between. I am extremely looking forward to reading her book, especially because it plays in Scotland which is definitely a country I'd love to visit one day. Set in modern-day Scotland and laced with adventure, romance, and hope, What Lies Between reminds us that love and belonging are often discovered in the most unexpected places. Trust has never come easily to Ellie Jameson. A broken past taught her that self-reliance is the only option—no one sticks around for the long haul. When a fateful letter arrives with news of an unexpected inheritance, she sees a silver lining in the tragedy that seems to follow her. Anxious to leave American city life for the rugged Scottish Highlands, she sets off to claim her fate in a whirlwind of determination. Captivated by the land of stunning lochs, fiery whisky, and a particularly charming Highland local, it seems things may finally be turning around . . .
1 - Describe What Lies Between with five adjectives. 2 - What sparked the idea behind What Lies Between? Was it a name, a sentence, Outlander, or something entirely different? It was 2013 and I had just left my home in Scotland, which I loved, but my visa was up; this move coincided with the discovery that my birth father had died. I decided to process the sense of loss and write about it. I woke up the next morning in Germany with the story clear in my mind. I wrote the complete outline that day. The idea for the title of the book came from my interest in astronomy and particularly what lies between the stars visible to the naked eye. The Hubble telescope revealed that at least 10,000 galaxies our eyes aren’t strong enough to see lie behind a speck of dark sky the size of a grain of sand. This fact made me think of all the things we can’t see that lie between people—the unspoken thoughts, the truths and deceptions, and what lies between one’s heart and mind, as well as the distance between two hearts, between the past and the future, between current reality and our dreams. What happens when someone takes a risk to cross the distance for a chance to truly understand and connect with someone else or reach for one’s own dreams? 3 – I know you have been in Scotland yourself in the past; therefore I am sure you’ve seen some of the places we get to see in What Lies Between. How much additional research did you have to do? When I first visited Scotland I fell in love with the country, specifically the Highlands and the Isle of Skye. The settings in the book were borne out of my experiences there. I did go back to my favorite places to make sure I got the sense of them reasonably accurate. I will add that it was challenging to strike the balance of immersing readers in a place that is such a powerful character itself, as Scotland is, while focusing on the people and relationships in the story. 4 - What do you like the most about your protagonist, Ellie, and what do you like the least? I like most that even though she has every reason to be self-protective, she chooses to take risks. She has a good heart and wants to see the good in people even when her trust has been broken many times. One character trait that gets in Ellie’s way is her tendency to push people away out of fear that what has happened in the past will repeat itself. At times, it’s easier for her to apply a superficial judgment than to leap and take the risk, and she tends to hold back—she has to learn to risk. This trait can make her frustrating at times; I wanted to have it out with her and push her to do what I wanted her to do. But she can be quite stubborn. 5- How long did it take you from first idea until publishing deal? And how many queries did it take until you found 'the one'? The book took two years from the first idea until its release. I chose not to query this book as I wanted to independently publish What Lies Between. 6 - What was your first thought when you saw the final cover design? I loved it! It was important to me that the artist capture the blues of a Scottish summer night and he did this brilliantly. I also wanted an unexpected cover, and after sorting through options, we landed on what became the final design. 7 - How does it feel to know that as of February 28th thousands of people can pick up your book and read your story? How scared were your of the first reviews done by those who received ARCs? 8 – What was your favorite place out of the ones you visited in Scotland? The Isle of Skye is a place I will always return to. One of the specific locations on Skye that I go back to frequently is Kinloch Forest and the clearance village ruins of Leitir Fura, which is the location of a scene in the book. 9 - Ice cream or cake? Both! I would have said ice cream, hands down, but I have recently begun to appreciate really good cake as well. I’m in a summery lemon and raspberry phase. I love to bake so I’m always concocting new baked goods. 10 - Did you listen to any particular songs or artists while writing What Lies Between? If so, could you give us an example? I would likely head into the forest, observe the rest who had started fighting right away, and think through next steps. After working in marketing, I took a creative sabbatical, departing with a one-way plane ticket, traveling solo, no itinerary. Much of the time was spent on foot or in the saddle of a mountain bike discovering the tucked away locations I integrate into my stories. 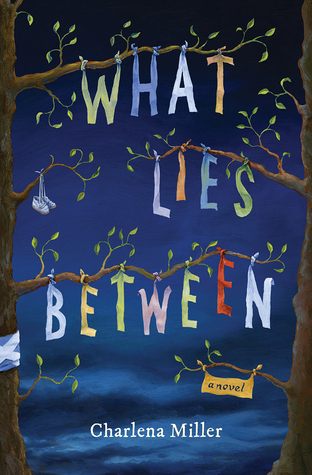 My debut novel, What Lies Between, is set in the Highlands of Scotland, a land that stole my heart and refused to give it back. After living there for some time and eventually having to return to the States, I really had no choice but to write a tale set in the land of legends, lochs, glens. Most of the places in the book are real or are based on locations I spent time in. I hope you enjoy Ellie’s Scotland adventure as much as I did researching and writing it. To go behind-the-scenes of my writing journey, visit www.charlenamiller.com and sign up for news and exclusive content.